One of my favourite things about summer in Manitoba, apart from the awesome weather is how easily you can pull together some daytrips. And how much variety in scenery you can get in short little drives. We had a 2017 Ford Escape for the week and the first thing I did was pack it up for a week of roadtrip fun – my trusty first aid kit, a cooler, blanket, flip flops and an extra outfit for kiddo in case of ice cream mishaps etc. And then we were off and running! We had a pretty action packed week – as well as just doing all of our regular errands and daily life in the city. I like the Escape because it’s roomy but still easy to drive – and with all the safety features on it, it makes for a great highway vehicle. 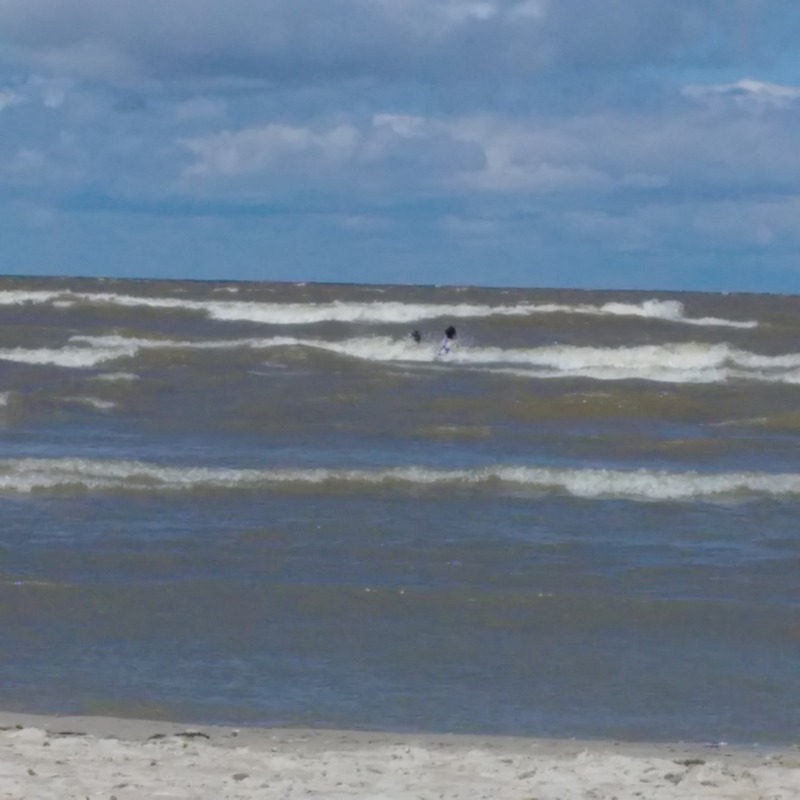 We headed to Gimli, one of our favourite spots in Manitoba. 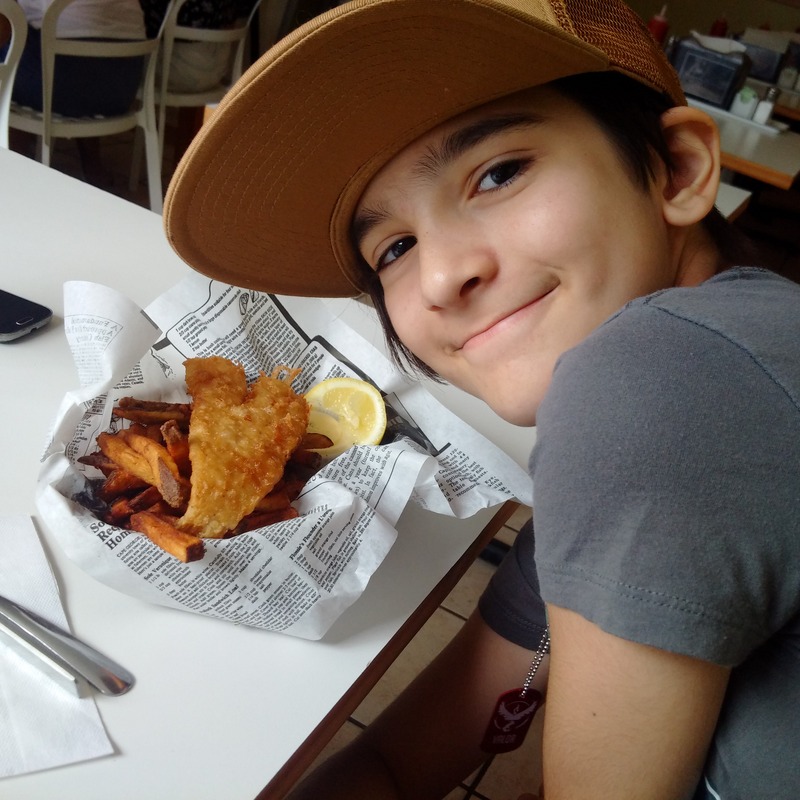 Can’t go to Gimli without having a fish lunch! Or if you’re like me and a non fish eater, there’s some great pulled pork poutine! We checked out the beach, the stores and of course the new candy store in town! The weather wasn’t too great that day, so we headed to Winnipeg Beach for a walk along the boardwalk – and of course a coffee break at their café. After that we headed back to the city to the golf range and to get some giant ice cream cones at Golf Central – their cones are insanely huge and all kinds of different flavoured dips too. One of my absolute favourite foods is cheese – I can’t get enough. 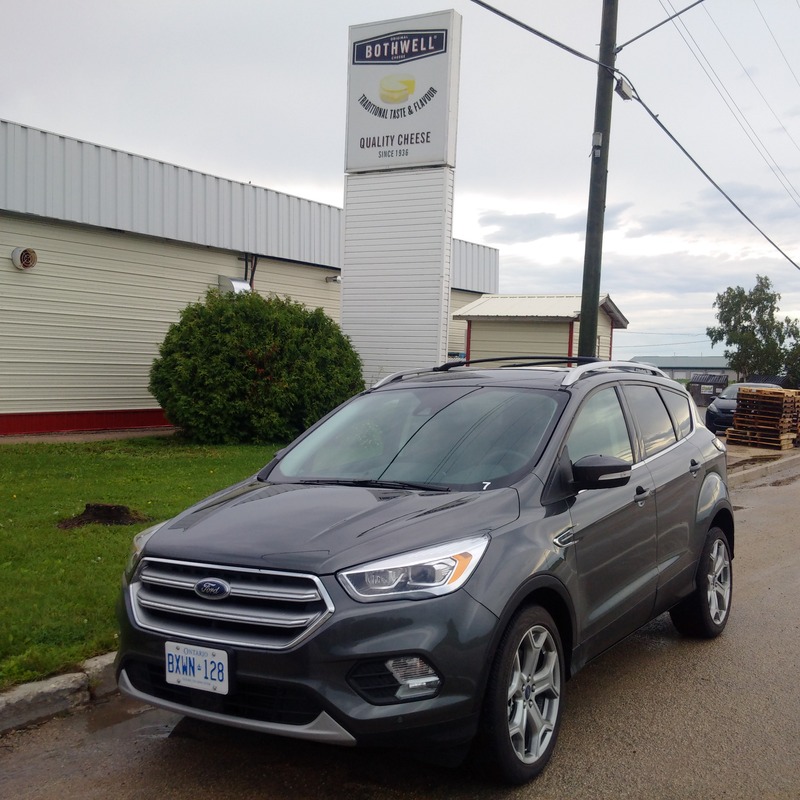 Every chance we get we head to the factory in Bothwell and pick up some great deals on end pieces of cheeses and all kinds of sales like that. It’s just a quick little drive from the city – and unlimited cheese makes me pretty happy! We’ve actually had to upgrade the fridge from one cheese drawer to two now! There’s a lot to do around that area too, there’s a café in town, or keep driving a bit and head to the bakery in St. Pierre. They had the yummiest donuts and cookies and the prices are super reasonable. Very easy to find too, I love when towns put up signs off the main road. I was the cool mom for a day – I drove kiddo and her cousin around, the entire day. 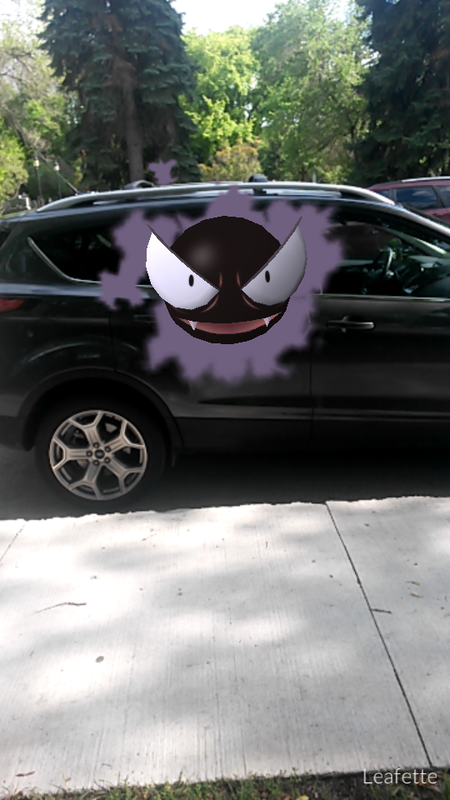 They had their devices hotspotted to mine and we drove from location to location so they could play. We went to St. Vital Park, The Forks, the cemetary by our house which is a hotspot for players and then I drove the kids to a Minecraft class at a library I had never been to. Was very happy for the navigation in the car as I get pretty confused on new streets. And later that night we went to Assiniboine Park. And then for days, press repeat of Pokémon playing. We did a lot of driving, a lot of walking and it’s some good family fun. I myself don’t get the game – in theory or on my phone because I’m a diehard Blackberry user. So, I got to explore nature a lot while the kids played – lots of people watching too. One neat thing with this car is that it will turn off when you’re stopped at a light or in traffic – huge fuel saver. I was in traffic a lot with this one, lots of stop and go – and mostly stopped with the construction right now. You can turn the feature off too if you don’t enjoy it, I found I really did by the end of the week. Huge difference at the gas station with that. No week in Winnipeg is complete without a trip to Grand Beach. We headed down early – the weather was a bit wonky so we decided to eat lunch first and see how it went. During lunch we were actually wearing sweaters! And then it rained – but it was still warm so we set up on the beach. We had fun playing in the waves, and then it rained. More playing, more rain. It was a very odd day for weather, but we still had a blast. We brought home a ton of sand – a little baggie on purpose for a memory jar and tons in our shoes etc. 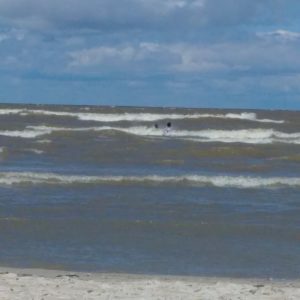 Grand Beach is such a quick drive from Winnipeg, perfect for a family day out but also to bring visitors. The sand is unbelievable and the wicked waves are really a sight to see. Just remember that it’s unmonitored there so keep the kids within arms reach in the water. 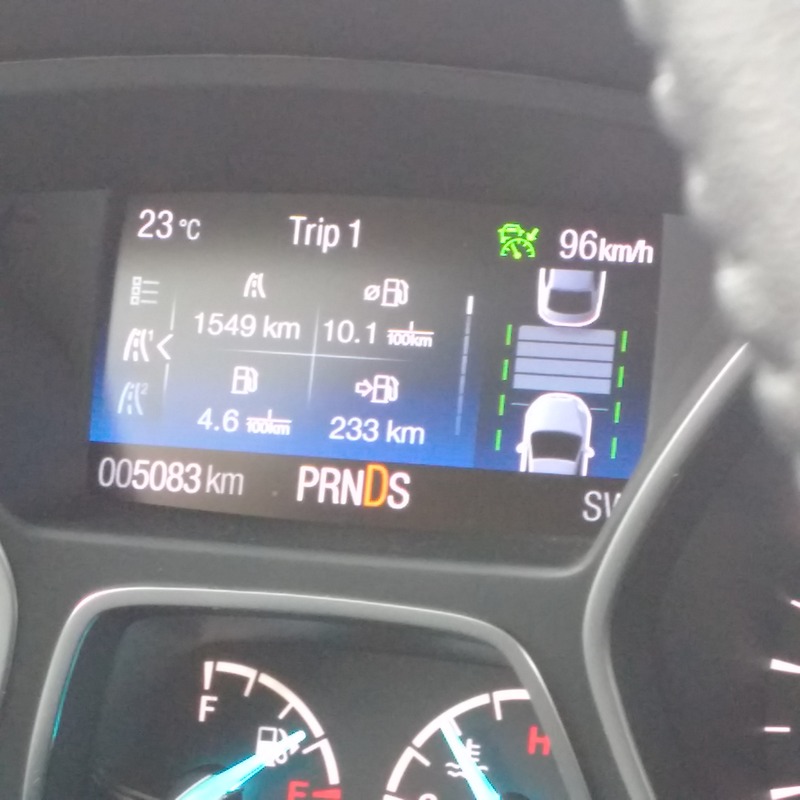 One super cool feature on the Escape is the cruise control. I took this picture as my husband drove. You set the speed you want, and also the distance you want to keep from the car in front. If they slow down, you slow down. Once they speed back up, you speed back up. It’s pretty amazing, and if you drive the highways a lot it’s a great option. Another neat thing is that the steering wheel shakes when you cross the line on the highway without signaling. I drove the car for days and had no clue this existed. My husband drove for a bit on the highway and told me the steering was doing weird stuff – I had never heard of this feature and it’s pretty amazing. If you’re distracted, or getting sleepy or I guess just someone who crosses over it really lets you know. If you signal first, like when passing someone it doesn’t do it. Only if you veer over it. It’s enough of a shake too that it would wake you up if you had fallen asleep. I love safety features like these – I always start to think of how many lives can be saved with new technology. Remember the resistance to seatbelts at one time? And now with airbags, and airbags in the seatbelts – and all kinds of stuff to keep you from being distracted on the road it’s a pretty amazing time for cars. 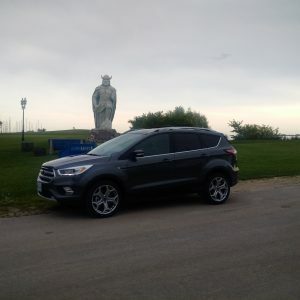 We had tons of fun with the Escape – it’s a great family vehicle – good on gas but big enough for longer trips and for those who like to pack a lot, like me. What do you normally pack for daytrips? And what are your favourite spots in Manitoba to check out? Where should we head on our next round of daytrips? « Costco Unadvertised Deals of the Week starting August 15th!